Buying a car can be intimidating, not just because you’re plunking down a bunch of savings, but also because you’re picking something that will become an integral part of life and where you’ll spend a lot of time. That means that if you choose right, you’ll enjoy (or at least be less unhappy) commuting, doing errands or carpooling, whereas if you pick the wrong vehicle, it could be an uncomfortable, unpleasant and — at worse — unsafe experience. In order to make the car-buying process a little easier, I asked seasoned experts at GM for insider intel. 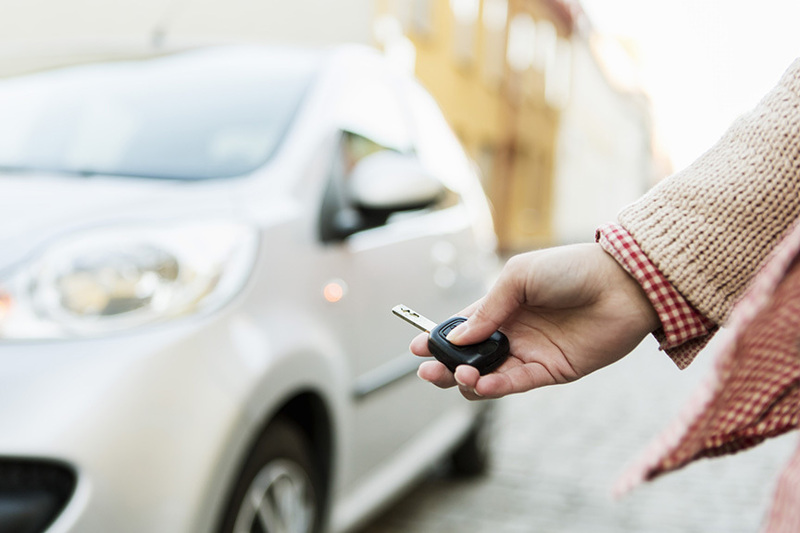 Sarah Weiman, Buick district sales manager in Austin and San Antonio, Texas, shares ways to narrow your options and save money, while Tricia E. Morrow, who works in global vehicle safety, offers tips on how to shop with safety in mind. Having little ones in the back (or teens in the driver’s seat) should definitely affect what you look for when you’re shopping. “Popular vehicle choices for families with new drivers include midsize cars and crossovers that have a wide range of modern safety technologies available,” says Morrow. If you have small kids, make sure there are enough seating positions for your needs — child seats come in different sizes, and you need to physically check to ensure your kids fit in the car you want to buy. Some cars also include teen safety devices that give parents peace of mind by muting the car’s audio when seat belts aren’t plugged in and giving visual and audible warnings when the car is speeding. If you feel equally comfortable in a sedan or SUV and aren’t really sure what type of car is right for you from the outset, making a mental list of places you’ll go and things you’ll do in the car can help. “Consider your favorite activities,” says Weiman. “Do you like trying out all the latest tech gadgets? Going to the beach? Taking road trips where gas expenses are a concern and mileage could play a factor? This can help guide you towards the car that’s right for your lifestyle.” For instance, says Weiman, if you’re an avid audiobook listener, you might want to consider a car with technology that allows you to download a book or podcast (most models, these days), but also a quiet, comfortable and noise-canceling interior. If you live in a cold climate, you might want a car that’s super-safe in snow or freezing rain. A car’s a big purchase, and not something you want to cut corners on (and end up with something that ends up falling apart). However, there are some legitimate and safe ways to cut your costs, says Weiman. “Understanding your objectives — meaning what will the car be most used for and what your must-have features are — will immediately help determine where you can start saving costs,” she says. “Pay attention to offers and deals that you can research online before pulling the trigger. There can also be savings benefits once you buy a new car. For example, with all new Buick vehicles, you have the ability to opt into a service called OnStar Smart Driver, which provides feedback on your driving behavior. It can lead to savings of up to 30 percent on insurance rates.” Insurance companies like Progressive offer similar money-saving programs, but neither will ultimately lower the price of your car. Weiman says one of the biggest mistakes she sees buyers make is the impulse purchase. “It’s so important to keep the long-term use of your car in mind. Buy it for the features that will make life better years down the road, not the thing that wows you at the dealership but that you don’t use ever again.” Regular maintenance is required with all cars, so if that’s not something you’re up for financially or logistically, be honest with yourself — otherwise the car will lose value and you’ll lose money down the line.